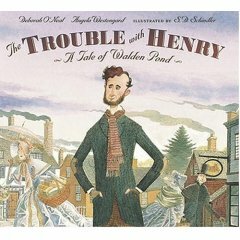 The Trouble with Henry, written by Deborah O’Neal and Angela Westengard and illustrated by S.D. Schindler (Candlewick Press, 2005). 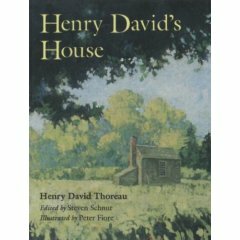 Henry David’s House, words by Thoreau (gleaned from his books by editor Steven Schnur) and illustrated by Robert Fiore (Charlesbridge Publishing, 2007). Louisa May and Mr. Thoreau’s Flute, written by Julie Dunlap and Marybeth Lorbiecki and illustrated by Mary Azarian (Dial, 2002, no longer in print). 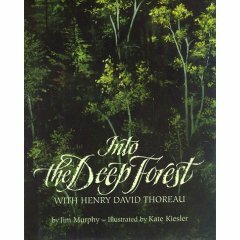 Into the Deep Forest: With Henry David Thoreau, written by Jim Murphy and illustrated by Kate Kiesler (Clarion Books, 1995, out of print). 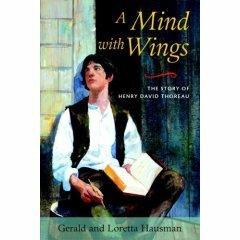 A Mind with Wings: The Story of Henry David Thoreau waswritten and illustrated by Gerald & Loretta Hausman (Trumpeter, 2006).